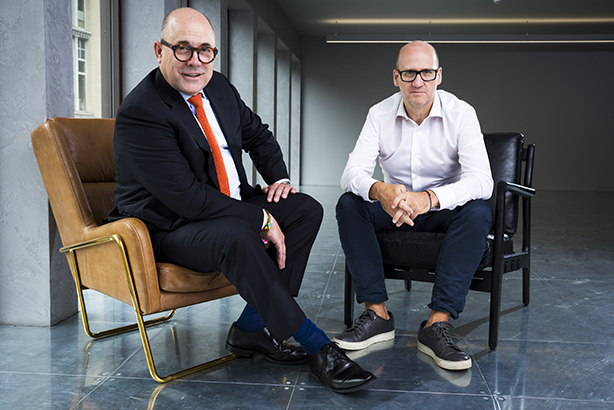 Headland's partners have taken an unusual approach to reinventing their agency but, as they tell PRWeek, avoiding 'integration' in favour of creating a 'seamless' offer is paying off. Chris Salt chuckles as we discuss the strong recent performance of Headland, where he is chief executive. "Up until two years ago I thought I was a bullshitter. I may still be, but at least there's some substance to it now." A look at the PRWeek UK Top 150 Consultancies table attests to the stellar growth at the City of London-based financial and corporate comms, public affairs and campaigning agency. Revenue rose 55 per cent to £7.1m in 2017, and almost doubled between 2015 and 2017 following major wins including PepsiCo UK, Three UK and Mulberry. Headcount has risen from 40 in 2016 to 75. Recent hires have included former Finsbury UK CEO Mike Smith; Ed Young, an ex-Tesco corporate comms chief and former speechwriter for David Cameron; and Ben Mascall, most recently head of strategic communications at 10 Downing Street. One could pigeonhole Headland among the UK agencies that have reached a sweet spot by combining corporate and public affairs, especially since the EU referendum. But talking to Salt and managing partner Dan Mines, it’s clear the agency’s unusual history, structure and culture have played a big part. Headland was founded twice; initially in 2006 by Salt and Howard Lee, former colleagues at agency Gavin Anderson, which later became part of Kreab. Salt describes that incarnation as a "financial-plus" agency: financial PR with some corporate. But in 2011, discussions with Mines and Fishburn Hedges co-founder Neil Hedges, who at the time still worked at that agency, initiated a radical rethink. "Headland at that stage was doing fine; we were quite small," says Salt. "So many agencies try to move from one specialism, to do something else. We had the brave idea of closing down this 'financial PR/a bit of corporate' Headland and starting again." The company was dissolved, and a new entity emerged with the same name but a new structure. 'Headland 2' launched in 2013 as a limited liability partnership (LLP), owned initially by four founding partners – Salt, Lee, Mines and Hedges. "It’s the perfect structure to incentivise partners in the business," says Salt. "They've got skin in the game, and it reflects in their advice, and how they go about their business." Mines says the deal, which wasn’t made public at the time, was the "oddest I’ve come across". Like other agencies in the early 2010s, new Headland sought a diverse offer. But what it was not pursuing, he explains, was integration. "It’s such a pejorative word. It implies putting things together that aren’t meant to be together. "Headland is a response to a problem that's existed in our sector for 30 years. I've been deeply frustrated with our industry… certainly in the past 15 years. I remember everybody talking about this need for integration [but meaning] different things by that. There was marketing services integration, but this really is about the reputation end of the market." Mines says clients were telling him the 'one-stop-shop' approach frequently didn't work in practice, with one specialism invariably weaker than another and teams failing to gel effectively. "There had to be a third way. At the moment you've got an industry that says it does something but actually doesn't, which is this seamless offer, combined with the right people at the right time, whatever that challenge is; mirroring how, increasingly, a client organisation is working." There are no separate business divisions in the structure. The plan was to "make everyone brilliant at everything", Salt says. "But that’s impossible. We're saying: 'Come in and deepen your expertise, but know that you have to make it blend with everything else.' Think about clients – they blend day in, day out." For instance, financial comms specialists must "understand the importance of what [creative campaign experts] do", he says. "So when they're in conversation with a client… they can take that conversation on a natural journey and not just keep it in a space that they are most used to." The business was built "painstakingly from the bottom-up", hiring people who bought into the ethos. It could be a "dramatic change" for those used to big agencies, and Mines talks of a need to "deconstruct" new starters. Salt explains: "One minute they might be working with me as a partner lead, the next they're with Neil as a partner lead, then they’ve got Lucy Legh [another partner]. Each of the partners has a very different style of leadership. For a while it's like: 'Wow, this is really different, it's quite a challenge.' We're asking them to blend. There's not just one way to do this. But eventually you've got a much more rounded experience that they can draw from and utilise – that’s why they’re staying." Clients from the 'old' Headland stayed and the agency began offering extra services. Salt points to restaurant chain Leon as an example. Previously Headland handled its financial PR, but in its new guise assisted with Leon’s school food programme, a campaign that ended up changing government policy. He describes the moment as "galvanising". Salt credits director Oliver Tilley, formerly of Blue Rubicon, as particularly important to that campaign. 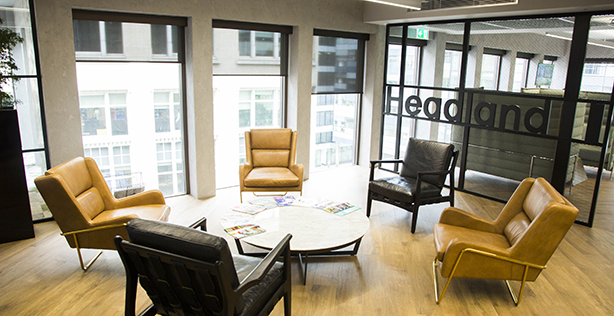 Headland has hired several people from that agency (and its successor Teneo Blue Rubicon), known for their campaigning and corporate work – not least Dan Smith, who joined as a partner. Alumni of Fishburn Hedges, Tulchan and Brunswick have also joined Headland’s ranks. Success didn’t come overnight, however. "It was tough at the beginning," Salt stresses. "But it has built a momentum which is going in the right direction. It’s difficult for others to replicate because you've got to start from the beginning." Mines says members of the team were "still scratching our heads until about two years ago", but since then there's been a marked increase in pitches involving working across multiple disciplines. Headland has pitched for about 40 such briefs since early 2016, Mines estimates; last year it won 10 of the 17 it was involved in. Salt and Mines make for an engaging duo. The CEO positions himself as a PR all-rounder. He formerly worked in the pub sector, entering PR via Whitbread's press office, his broad view shaped by stints at Gavin Anderson in Australia and Singapore. Salt describes operations expert Mines as the architect of the current Headland. He has never been in a client-facing role, having taken on various finance and strategy jobs before becoming chief operating officer at Fishburn Hedges. Both men are charmingly self-deprecating; Mines says that he was "a waster until 27" and "the least-qualified person of anyone I have ever employed". Salt, of course, fears he was a bullshitter. What’s next? Unlike its peers, Headland is not targeting new territories, preferring to work with partners abroad. It links to a suspicion of network agencies. Mines says these risk becoming the "lowest common denominator" model: "The networks might say a third of it is really good but two-thirds isn’t, and half of it doesn’t make any money." Instead, the consultancy is expanding its existing office space. "It's like I'm joining anew at the start of each year," says Mines. "We've finally got the proof of concept and now it really is about muscle memory – it's about scaling up what we have. It's about just going with the momentum and girding our loins, always investing and never switching that off."